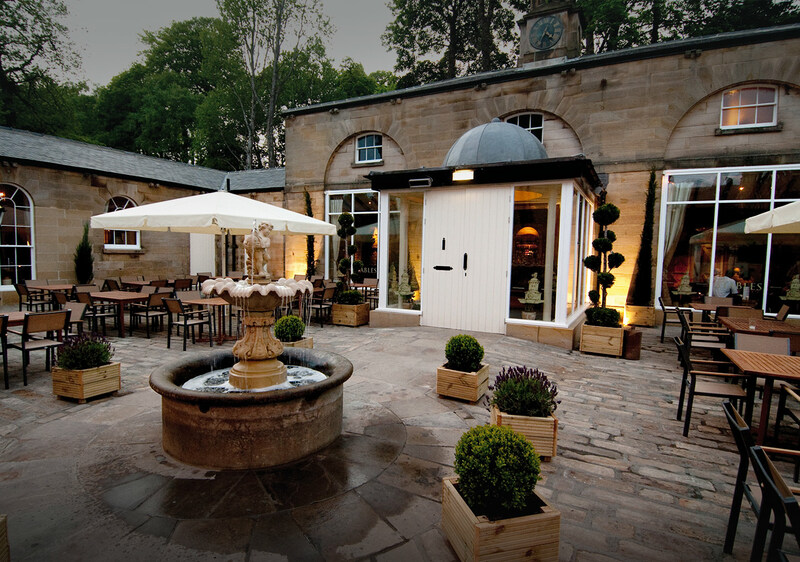 The Stables Bar, Restaurant and Brewery can be found at Beamish Hall, in County Durham. 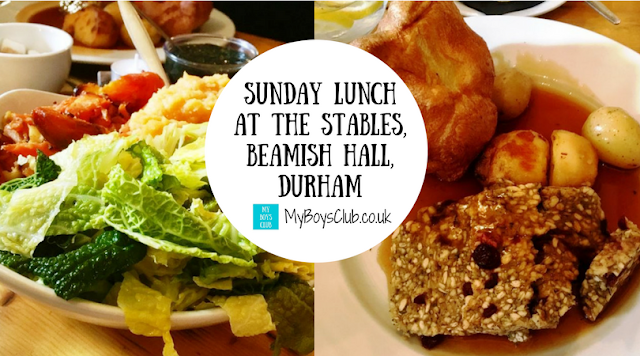 The boys enjoyed a taster session of the Beamish Wild Holiday Camps recently and while we were there we also sampled Sunday Lunch. Here's how we got on. 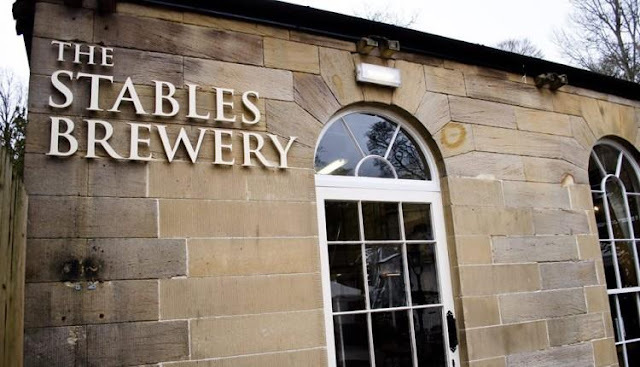 The Stables Restaurant & Brewery is located in a converted 18th-century stable block at the back of Beamish Hall, a four-star 12th-century country house hotel on the borders of County Durham and Tyne & Wear. 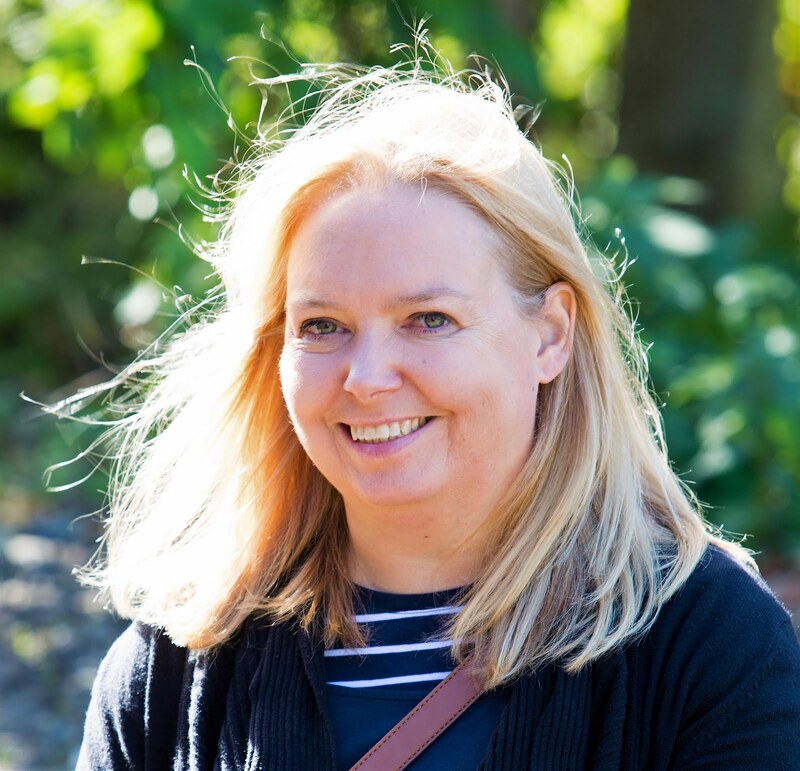 Set around a wide courtyard, with original stone floors, exposed beams, solid furniture, roaring winter log fires creating a lovely ambience, I think that on a summers day sitting in the courtyard would be idyllic, whilst on colder days the roaring fires much more popular. The Stables uses local suppliers and producers for fresh, seasonal stock, and also produce everything in house from scratch wherever possible, including a daily range of artisan bread with yeast from the microbrewery - a great example of minimising waste. It is also situated next to one of the best outdoor playgrounds in the region. The boys loved playing in the adventure playground park even after climbing crates and trees, den building and shooting arrows at targets. I'm often disappointed as a vegetarian when I see a great review for Sunday Lunch but then see that the menu only caters for meat eaters. Well thankfully at The Stables this is not the case. 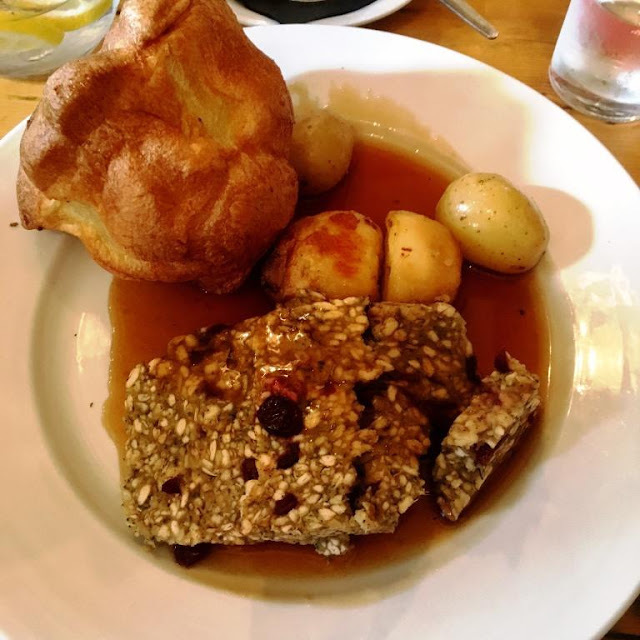 It was great to see a vegetarian alternative to a Sunday Roast dinner that didn't mean missing out on all the trimmings. Sunday lunch without Yorkshires, roasties and gravy is just lunch in my book. At home, we'll often make a vegetarian alternative to a Sunday roast with all the trimmings. Both me and hubby opted for the Vegetarian Roast (£10.95) which was a Cranberry & Chestnut Stuffing Roast. There were other options if you aren't looking for a roast but we were both looking forward to ours arriving. It was a very generous portion and came with roast potatoes, new potatoes, gravy and the all important Yorkshire. A huge dish of vegetables was also served to our table. These were bright and vibrant in colour as well as cooked perfectly for our tastes - not too soft and edible without too much effort. It also looked great on the table. 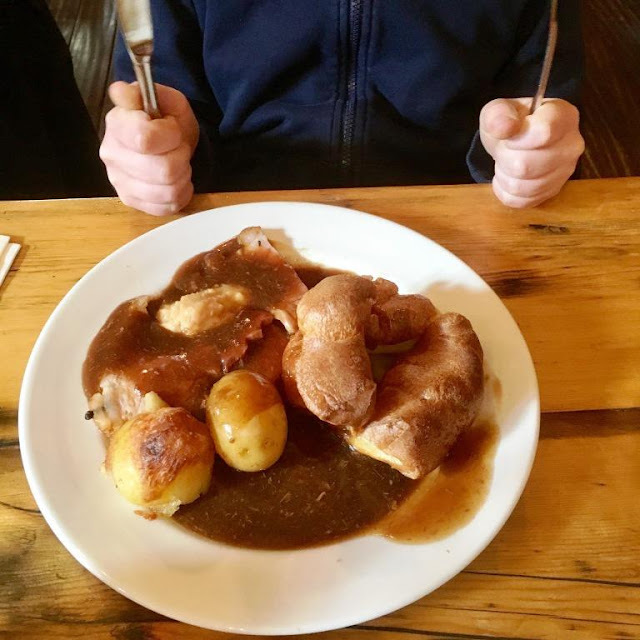 Although the boys were tempted by the kids' menu of dishes such as sausages, cheeseburger, fish and chips or sandwiches (£3.95), I persuaded them to try a half-portion (£5.95) of a Sunday Roast - it was Sunday after all. And they weren't disappointed. 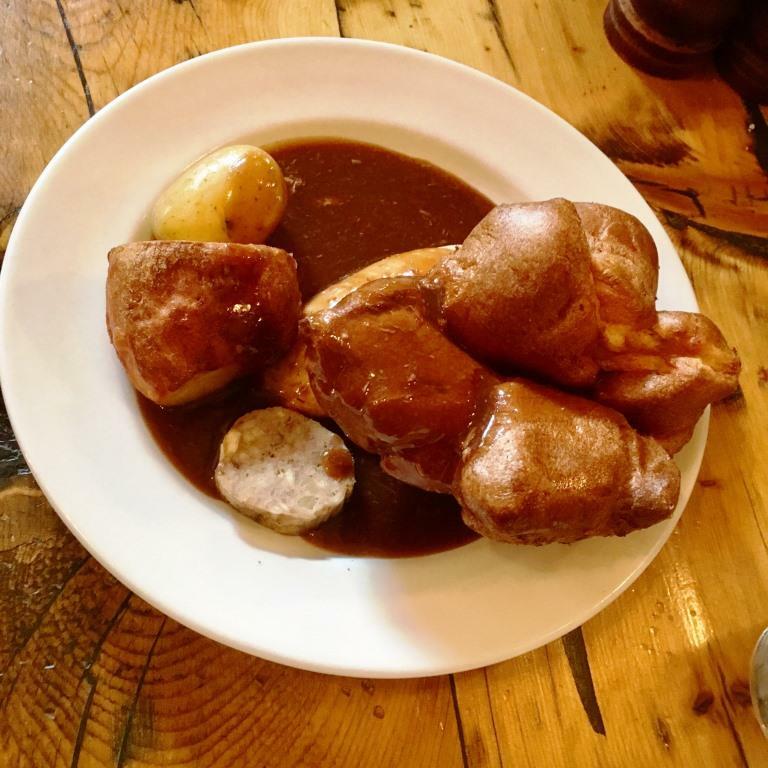 Both the chicken and the beef came at a fairly large size for a child, with a giant Yorkshire and lashings of gravy. With the accompanying vegetables, there was certainly enough on their plates to fill them full of more energy. There are starters and desserts which look and sound really good but the main was so filling and we had more activities to do so we didn't get time to try them out. A reason to return though another time (not that I think we'd need one!). So instead we enjoyed a delicious Latte before continuing the day outdoors. 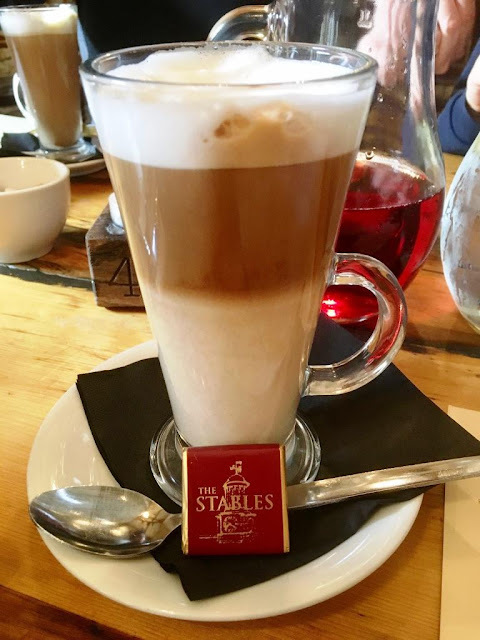 The Stables serves food on Sundays from 12 noon to 8 pm. What's your favourite choice for a Sunday Roast? 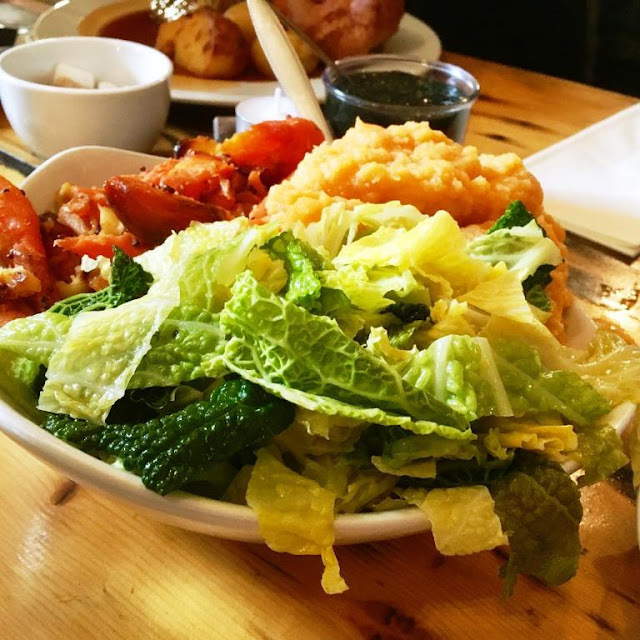 Disclosure: We received complimentary Sunday lunch for a family of four as part of our review of the Beamish Wild Holiday Camps. It is a lovely place x So exciting looking for wedding venues! I am a veggie too so usually avoid Sunday roasts: this one looks good! The building looks amazing - and the veg portion is much more generous than the places I've been to recently!